Mumbai: Yuvraj Singh on Friday said Mahendra Singh Dhoni’s presence is crucial to the country’s World Cup chances as he is a guiding force for current captain Virat Kohli and “important” in decision-making. The 37-year-old left-handed batsman was speaking after being announced as the brand ambassador of sports-tech start-up LivePools at suburban Bandra. 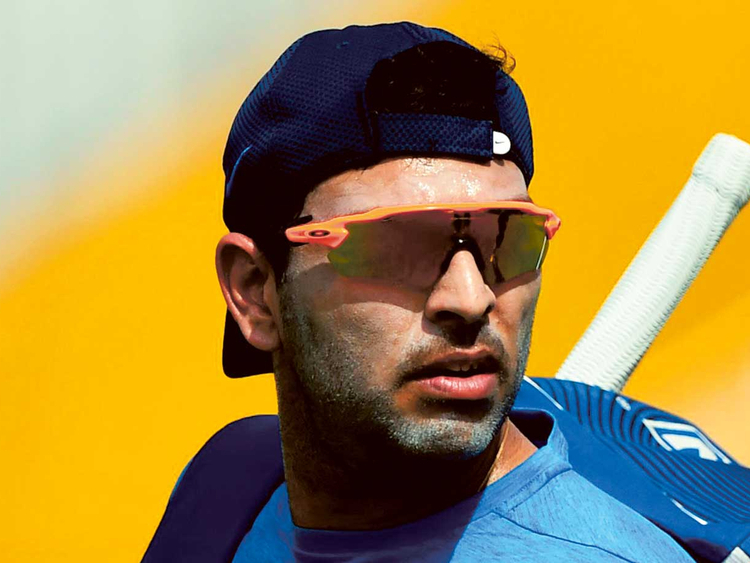 Yuvraj, the 2011 World Cup’s Player of the Tournament, echoed the sentiment when asked about the Dhoni factor here at an interaction. “I think Mahi (Dhoni) has a great cricket brain. And as a wicketkeeper, you are in the best position to monitor the game and he has done that fantastically over the years. He has been a great captain. (He is) with the young players and guiding Virat (Kohli) all the time,” Yuvraj said. Yuvraj will be competing for Mumbai Indians in the IPL 2019 and said he will look to ease the pressure on skipper Rohit Sharma. “I think, if I can contribute in the middle-order, it will just take some weight off him (Rohit) and he can just go and play his natural game, while opening. (We will) see how the combinations (go),” Yuvraj said. The 37-year-old left-hander found a buyer quite late at the IPL players’ auction held in Jaipur last December for his base price of INR 1 crore after going unsold initially. “I’m very fired up boss, I have been training in the nets everyday,” said Yuvraj. He also lauded fellow Punjab player Shubman Gill, who recently made his India One-Day International debut in New Zealand, saying his progress over the last one year has been amazing. Yuvraj also was pleased with rise of teams like Vidarbha, Gujarat and Saurashtra in the domestic circuit. Vidarbha Thursday lifted their second successive Ranji Trophy title with a comfortable 78-run win over Saurashtra in the final. “Also impressed with how domestic cricket is improving, the other teams are improving ... Saurashtra are playing well, Gujarat has also been playing very well, so it is good to see that in domestic cricket,” he signed off.